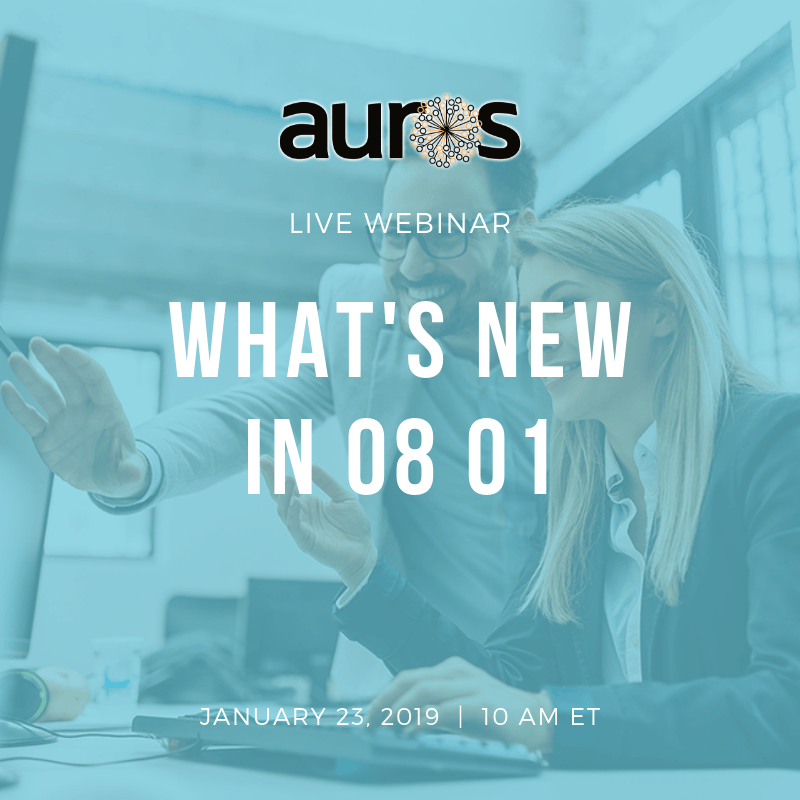 On January 23, Auros Knowledge Systems will be sharing what’s new in its latest release, version 08 01, in a 30-minute educational webinar. This webinar is ideal for those that are interested in learning more about the Auros software and its newest features. During the session, attendees will be given the opportunity to ask questions and learn about the other resources available to them. Registration is required to attend the “What’s New with Auros in 08 01” webinar. Visit http://www2.aurosks.com/8fdUO to register. Monthly educational webinars are one of the many resources provided by Auros Knowledge Systems to support the growing user base. Future educational webinars will cover unique topics and will be held on the third Wednesday of every month. Following the sessions, a recording of the webinar will be available to listen to or share with colleagues.